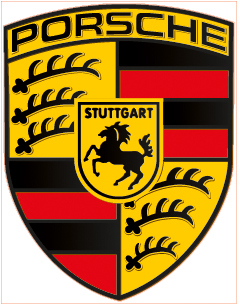 Why does the Porsche logo look like a coat of arms? Find out! Porsche has produced some of the greatest luxury sports cars of the last 80 years, and nearly all of its models have borne the same enduring design on their hoods. Where did the German automobile company come up with this unique logo, and what is the history of the Porsche crest? Read about its meaning and inspiration below! How Did Porsche Get Its Emblem? Porsche Automobil Holding SE was started in 1931 by Czech engineer Ferdinand Porsche after he had been commissioned to design automobiles for other companies. 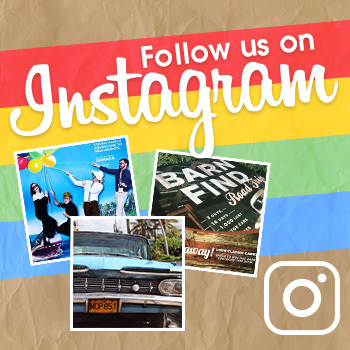 The company’s headquarters have remained in Stuttgart, a city located in southwest Germany that was built on a stud farm (a term for a horse-breeding farm, so “stud garden” in German is Stutt Garten, or Stuttgart). The city, founded in 950, has been the capital of the state of Baden-Württemberg. Initially, there was no symbol on Porsche’s cars, only the automaker’s name–that’s certain. What isn’t agreed upon is how the crest originated. North Americans contend that in 1951, Ferdinand Porsche’s son Ferry met with American Porsche distributor Max Hoffman at a New York restaurant. Hoffman suggested the automaker needed a symbol or mascot, which Ferry sketched onto a napkin. After bringing the design back to Germany, Ferry had it polished up and put on the company’s cars. However, Germans contend that the Porsche logo was designed by engineer Franz Xaver Reimspiess, who worked with Ferdinand at his request to make a lasting company emblem (previous to his death in 1951). No American-suggested napkin drawing ever happened. Either way, the first Porsche badge appeared in 1953 on the horn button and a couple years later on the front of a 356 Coupe. What Does the Porsche Logo Represent? The Porsche emblem, which has the appearance of a coat of arms and is popularly known for being copied by Ferruccio Lamborghini, is inspired by two designs. 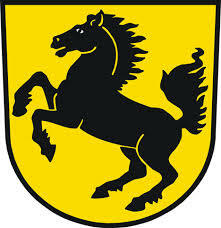 The rearing black horse in the center is from Stuttgart’s coat of arms, also called its city seal, which has included horses in its designs since the 14th century. Not only was this an homage to where the company was based and returned to life after hiding in Gmund during WWII, Porsche sees the wild animal as an expression of the company’s forward-thrusting power. Porsche’s horse is a bit more dynamic, with thinner legs, a raised head, and flowing hair. Apart from smoothing out some edges, not much has changed in 60 years. The original crests can still be ordered through Porsche centers and are hand-made in Germany. Enjoy learning about the Porsche emblem? Check out the rest of our “Behind the Badge” series to learn about other auto brands!